INFORMATION Permanent Secretary Chanda Kasolo says government will soon present the Freedom of Information Bill to parliament but it will come with regulation to ensure that practitioners are responsible in handling the information collected. And Kasolo says government is working at coming up with statutory regulation of the media in the country. Speaking when he appeared on 5 FM’s Burning Issue programme today, Kasolo said the media needed regulation just like lawyers had LAZ and accountants had ACCA and many others that operate under a regulatory framework. “You can’t say ‘no because I am breaking the law, therefore it’s good journalism, it’s Freedom of the Press’ you will be in trouble! You can sue me for defamation of character, why? because there are limits. You can’t just misuse freedom of expression or freedom of the press to insult others by telling untruths. That’s why we need an association,” he says. 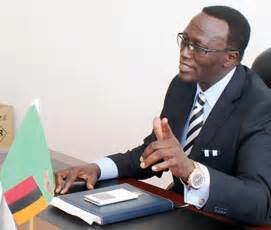 He said unlike other professionals which belong to regulatory bodies, some of the people masquerading as media practitioners could not even speak proper English or express themselves professionally when they attend press briefings. He said the Ministry had written a draft of the document giving guidelines of qualifications and levels of what should constitute a practicing Journalists. “We will legislate it so that anyone out there who wants to operate outside the association can be prosecuted. So that’s what’s driving me, I want journalism in this country to be professional with membership of highly qualified individuals. I want people to be proud to be journalists like those on BBC or CNN. Today, a journalist is not a respected individual because of the bad apples that are pretending to be qualified journalists,” he claimed. We have taken over the process because in the past journalists were given the opportunity to regulate themselves but they could not agree on how to fund their association or what membership fee they would charge. “Today, journalists are picked up by politicians and paid money to go and cover stories and are covered. A professional journalist seeks the stories themselves, whether they are paid extra money or not because they have a salary where they are working or they sell the stories and make money that way,” he said, adding that he had friends who were independent journalists in England and make a lot of money. “What they will do is that they will pick up one story and dig and dig until they come up with facts. And when they come and present this, the news channels and the media fraternity are dying to buy that story from them. We don’t have that sort of thing here. I believe that we can reach that level where journalists can be self-employed and do well, not self-employed and starving. This is unfair to the qualified people,” he said. He said government is thinking around the clock trying to find how to regulate social media on fake news and see how some form of regulation can be put in. “It maybe that the regulation is there. But those breaking rules should always be careful because the long arm of the law will catch up with them. So for those people who think you can put things online and get away with it? You will be caught,” he warned. Kasolo also said the media of information bill will not be absolute but there will be conditions attached as to what information is shared and what the relevant procedures will be pertaining to specific information being sought. There have been calls for media regulations in Zambia for many years, with government claiming they have given chance to the media for self-regulation but that they have failed to come up with a logical road map to roll out the process. However, Kasolo might not be aware that the media had come up with a regulatory mechanism in 2010, which all the media organisations- including private and public had agreed to effect. The board was also appointed to ensure the implementation and adherence to the agreed professional ad ethical standards. The media bodies had also agreed to the financing model of the self-regulatory body. Progressive media and media professionals have always and still believe that self-regulation is the best form of regulation as compared to government regulation.